Will foursquare be the next big thing after Twitter in Pune Social Media? Now, it appears that location-based social networking site foursquare is generating similar levels of excitement amongst a section of the community. If you want to feel that enthusiasm first-hand, then you should head over to the Pune foursquare day meeting (or “swarm” in 4sq terminilogy) which is happening today (Friday, 16 April), at “1 – The Lounge”, Koregaon Park, from 7:30pm until 10pm. One Lounge is a little ahead of ABC farms on North Main Road annex. The event is technically free, but there’s a Rs. 300 cover charge (which can be redeemed for food or drinks, and there’s a complimentary shot for foursquare users). 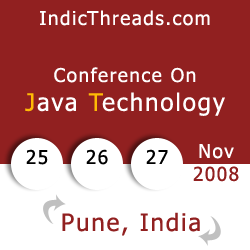 Check out the Pune 2010 foursquare day event page on Facebook. And RSVP there. foursquare makes a game out of exploring your city, and while at it helps you make friends with other like-minded, super-cool people! You can use it to find the new interesting places in the city, like restaurants, or museums, or whatever else your friends are interested in; and you can use it to get reviews of any place that you want to know more about. Doesn’t seem very exciting? Well, that’s the same reaction Twitter used to get from people when it was new, and yet, Twitter has now taken over the world, including Bollywood, Indian politics, and IPL too. So, I’m predicting, foursquare will be similarly big. And this time, you can get in on the ground floor. Join now. What makes it most intersting, is that foursquare is primarily a technology to be used on your mobile phone. The exploding use of mobile internet in India is another reason to think that foursquare can be big in India. And… why is today important? Because it allows Pune another chance to point out to the world that we are always at the cutting edge of anything new. In consumer marketing circles, it is well established that Pune is one of the first cities where companies try out their new products, or new campaigns, or pilot programs. This is because Pune has a young, hip crowd that is willing to experiment. Today, 16 April is International foursquare day, and cities all over the world hare having foursquare parties. But the point really is this – this event gives Pune a chance to cement its early adopter reputation by being the first city in India to get a foursquare swarm badge. A swarm badge is given when 50 or more foursquare users are check into the same location at the same time. This is a coveted badge, and signals to the world that this location has a very active and social online/offline community. Just to make things more interesting, the city of Bellefontaine, in Ohio, USA has challenged Pune to a competition on the number of party attendees on the 16th. As of now, Pune has a lead on the number of attendees, but we’re still short of the 50 mark needed to officially make a swarm. But… isn’t this all silly kidstuff & not for serious people like me? That’s what they said about Facebook, initially. And that’s what they said about Twitter, initially. But nobody is saying that about either now. Same story with foursquare. I think you’re maybe confusing this with Orkut. Feel free to stay away from Orkut. But ignore Facebook/Twitter/foursquare at your own risk. And those of you who are too busy to be on twitter, let me tell you this – if Anand Mahindra has time to be on twitter, you can stop your self-important whining. Uh… What do I have to do, again? RSVP at the Pune foursquare day facebook page. Show up at One Lounge tonight and check-in. And end up meeting a whole lot of people who are more interesting than your colleagues at work, and in some cases, more intersting than your existing friends. Unless you’ve been living in a cave, you should be aware that Proto.in, India’s premier startup event, is happening in Pune this weekend. Around the end of proto.in, there’s an event for Facebook application developers, which is actually open to all developers, not just those registered to attend proto.in. So all Pune facebook app developers, or potential facebook app developers should make a beeline for this event – a great place to meet a lot of experienced facebook developers from not just Pune, but the whole country. a Fergusson College pass-out now settled in San Francisco. Ruchi, the product manager for Facebook News Feeds, is one of the brain’s behind Facebook’s current look. As a passionate web developer trying to make an impact, you certainly cant miss this opportunity. It will be at 5pm on Saturday 25th July, in the Dewang Mehta Auditorium, Persistent, S.B. Road. Just show up. It’s free, and no registration is required. 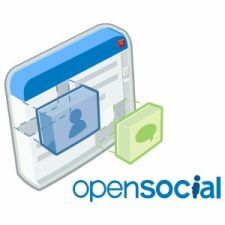 Rohit Ghatol, who was supposed to give the “Getting started with OpenSocial” presentation tomorrow is down with viral fever, and hence this event is postponed to next Saturday, 18th April. Other details remain the same. See the updated post for other details.